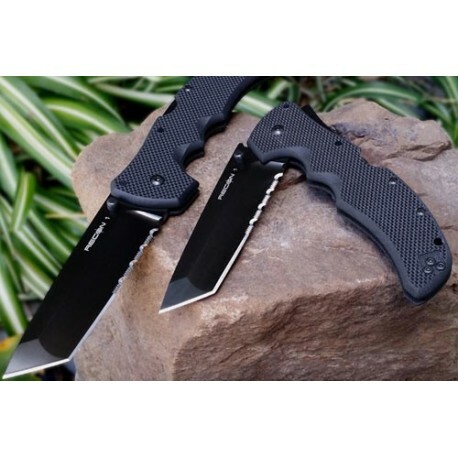 The Recon I® remains the ultimate choice for military and law enforcement special units, rescue personnel, and civilians who appreciate a true rugged-use folding knife that can be relied upon in the most taxing of conditions! This super-limited run, XHP edition of our combat tested Recon I® tactical folding knife combines the latest in American made, high quality, ultimate performance materials with combat tested and truly life saving design! USA made XHP super-steel for incredible edge retention, strength, and cutting performance! Superior DLC (Diamond Like Coating) for the ultimate scratch and corrosion resistance! Premium American G10 handle material for exceptional grip safety while still remaining slim, lightweight and comfortable to carry and use! The Recon I® features the strongest and most secure locking mechanism in the industry today! The Tri Ad® locking mechanism is impervious to shock and capable of supporting a staggering 330lbs! 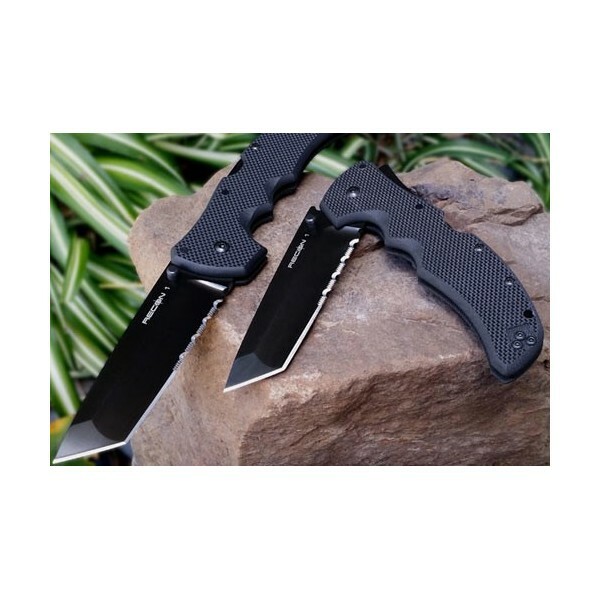 Significantly stronger than any of our competitors offerings, the Recon I is a safe, dependable and trustworthy knife that can be counted upon in even the most extreme environments and challenging situations!